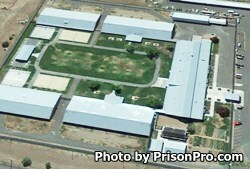 Powder River Correctional Facility is a minimum security prison located in Baker City Oregon. It provides re-entry services to many of the 286+ adult male inmates who are housed here. Additionally, offenders can be selected to participate in alcohol and substance abuse treatment and work programs to help them prepare for release. Inmates at Powder River Correctional Facility are expected to take educational courses, partake in work assignments, and take transition classes to give them the best possible chance of success once they are discharged. Powder River Correctional Facility has multiple work opportunities, and offers inmates the chance to work in a greenhouse, training dogs, in community service crews, on fire fighting support crews and with a treatment outreach crew. Religious services are available to all inmates and include worship services. Visitation at Powder River Correctional Facility occurs on Saturdays, Sundays and state recognized holidays from 7:45am-10:30am and again at 1:00pm-3:30pm.